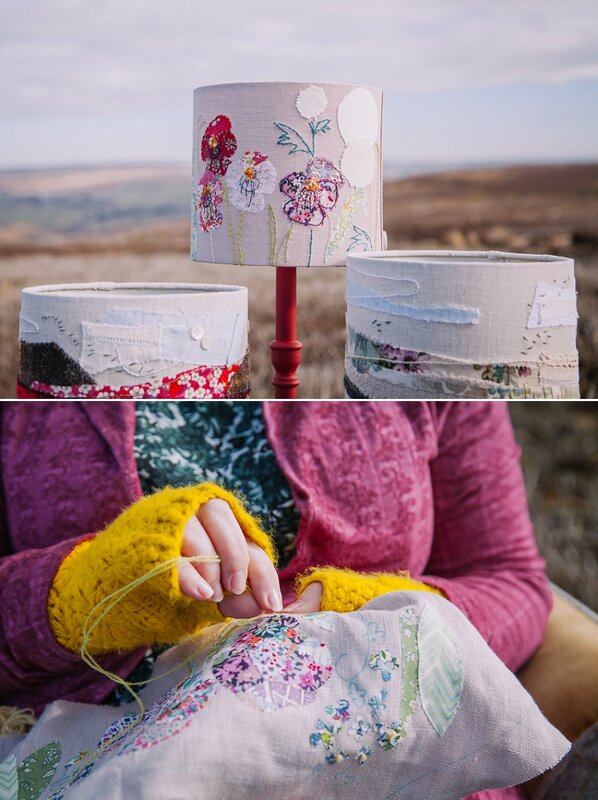 My lovely and very talented friend Marna (Marna Lunt Textile Artist, check out her clever creations at http://www.littleadesigns.co.uk/) asked me to come on a little adventure with her, an armchair and some lampshades to do some stitching and take some photos on the North Yorkshire moors near us, like you do! 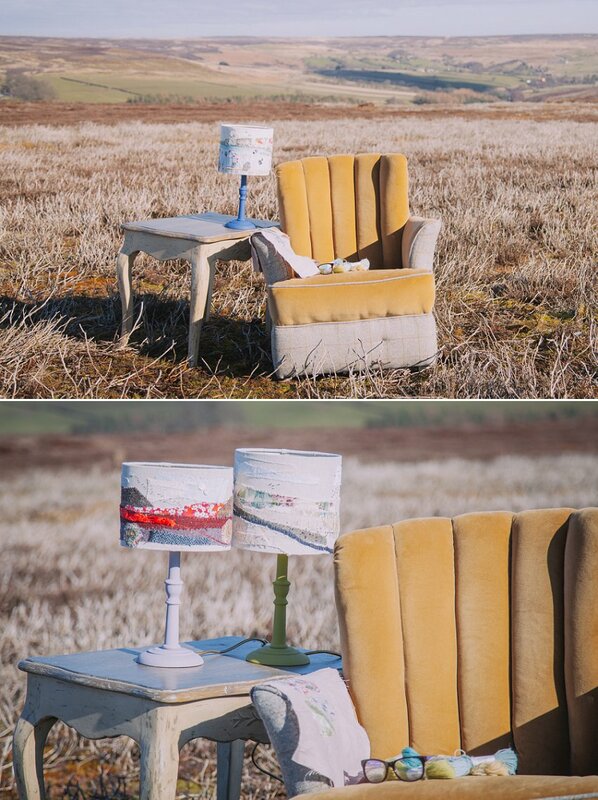 So off we trundled and found a beautiful spot with views across the moors and the patchwork colours you get up there. As you can see from the photos we seemed to get all kinds of weather in the short time we were out there! 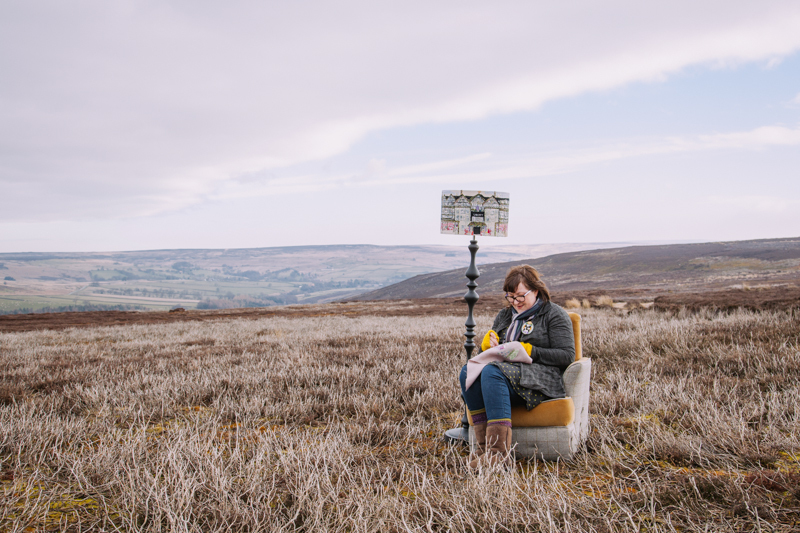 If you'd like some fresh photos for your website, social media profiles or just for fun do get in touch as I'd love to go on an adventure with you too.